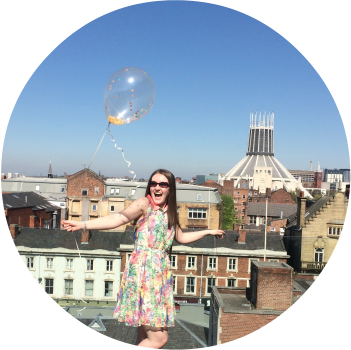 Dark nights are rolling in, theirs a crispy chill in the air, shop windows are filling with fake snow, trees and baubles and the Christmas cheer is starting to roll right up the high street and into our homes. With festivities in mind and Christmas gifts to buy, one of my favorite places to pick up a pampering treat or a stocking filler or two, is The Body Shop! 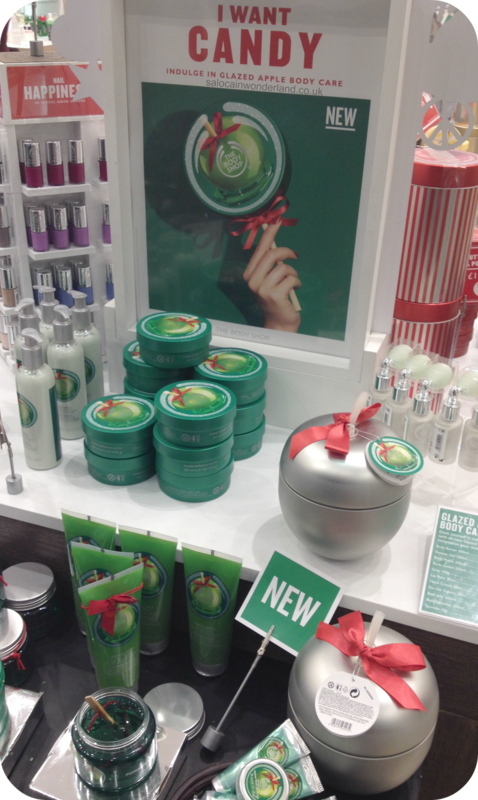 I went along to the Liverpool One store last night to check out what The Body Shop where offering for Christmas 2014! 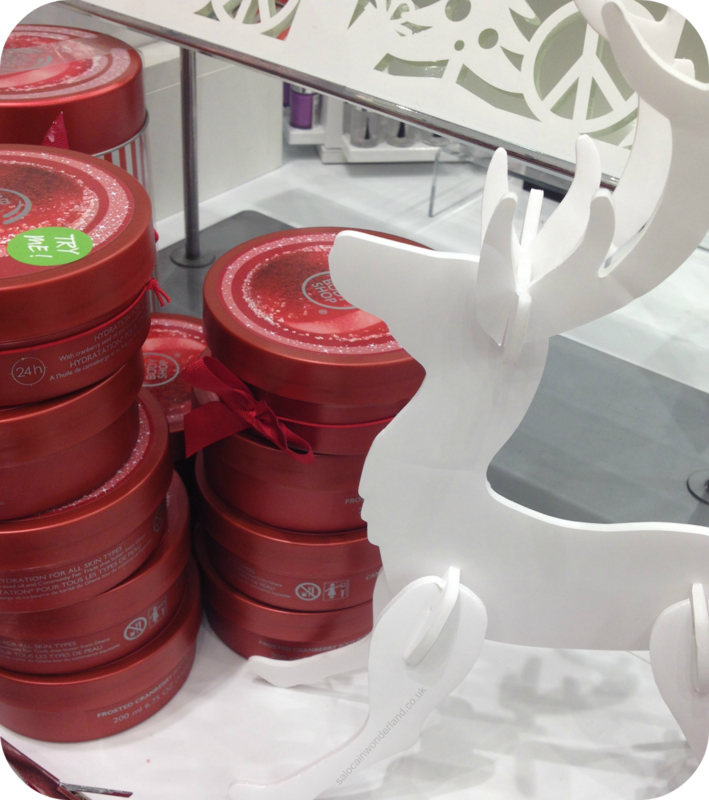 Their festive fragrances this year include; glazed apple, frosted cranberry and vanilla brulee. Vanilla Brulee and Frosted Cranberry are easily my favourites in the festive collection, Glazed Apple is just too sickly sweet for me, and I love sweet! Brulee great at first but get's a little overwhelming when it comes to the body butters and lotions. Frosted Cranberry is Christmas for me. They're selling it in a festive diffuser this year...I might just have to pick one up! Most of the gift sets on offer this year are pretty standard and similar to years previous, not that that's a bad thing, the gift sets are pretty good value, especially when you think of the amount of sales The Body Shop has for the upcoming period - I'm pretty sure all The Body Shop gifts and treats I bought last year where from card holder events or big sales! They've also brought back their advent calender which I was so tempted by last year and might might give in and buy this year..watch this space! The Body Shop girls out done themselves on the night, offering hand massages, facials and make-overs, as-well as a cheeky glass or two of fizz and some chocolatey goodies. I had the most amazing facial and got to try out their new Drops of Youth serum which was amazing (and may have come home with me) and the soothing hand massage introduced me to their Almond hand care range; I even had a lesson on sorting out my cuticles with their Nail and Cuticle oil. The staff gave me a tour of the store, showcasing all that's new for this season and the returning favorites of Christmas past. I was very taken with the musical carousel of goodies - yes it really does play music! The new bath salts and body shimmers in the festive fragrance range this year are new too and perfect for a little glitz and glamour this Christmas. And if you're looking for something different, nourishing and luxurious as-well as just downright fun, look no further than their bath jelly! This stuff is amazing and looks just like Flubber! I love The Body Shop at Christmas, they have that perfect present for even the hardest to buy for - and let's be honest, I'm a sucker for packaging and the Christmas gift selections look gorgeous, so much so you wouldn't even have to wrap them up to gift someone! I also found out that a percentage of every gift set sold goes towards a charity supporting the education and welfare of children in war wracked countries! I had a wonderful night and I'm really starting to get in the festive mood now! I might have walked away with a few goodies too...reviews are on the horizon I promise you! 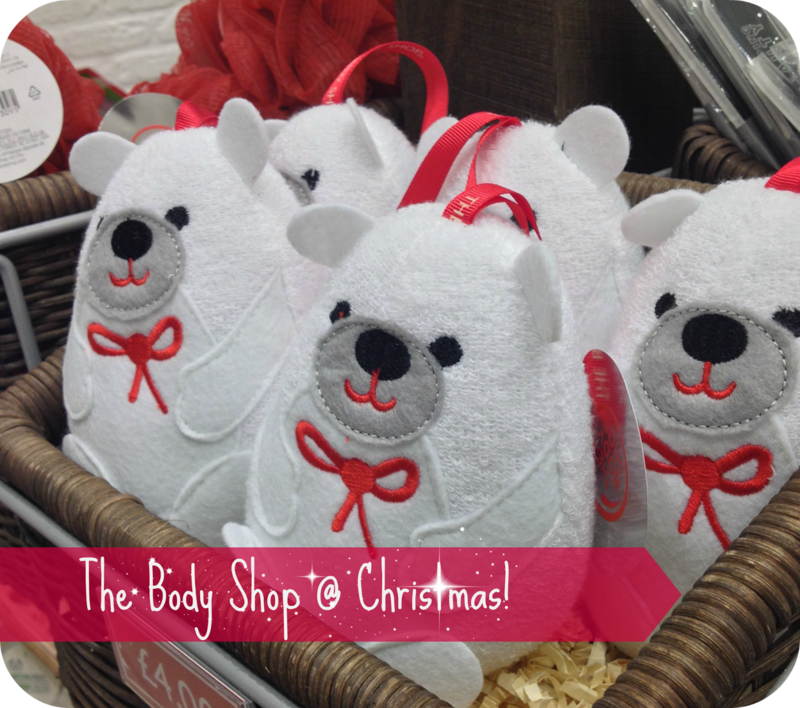 Have you checked out what The Body Shop have on offer this Christmas? Let me know what caught your eye in the comments below! I haven't gone but I'm excited. I love when stores start putting their Christmas stuff out! Aww that's such a shame, you're missing out! I love the shops at this time of year! I love seeing the stores putting their Christmas decorations up! Inspires me to get in the Christmas spirit, I use the body shops chamomile cleanser and rose perfume. Perhaps I'll have to pop in and see what they have on offer this Christmas.